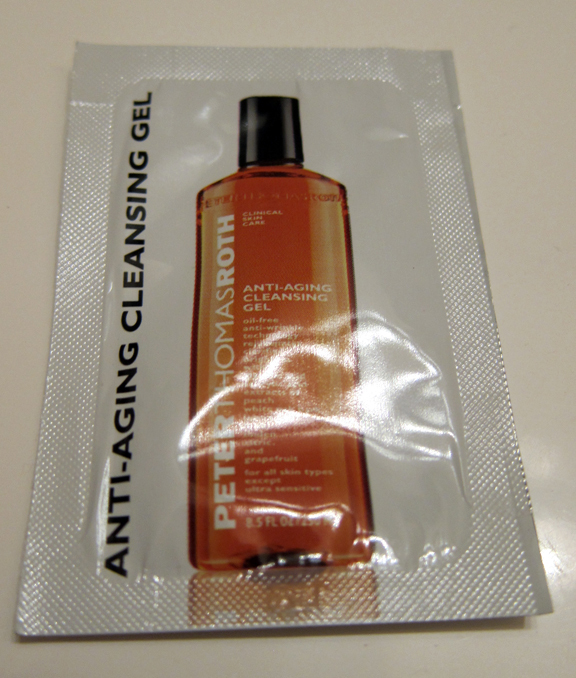 THE SKINNY: Peter Thomas Roth's Anti-Aging Gel Cleanser is impressive. The smooth orange gel smells a little like shampoo, which had me a little skeptical at first. But it felt smooth against my skin, took off my makeup like a champ and didn't irritate my eyes. Afterward, my skin did feel smooth and soft. Did it leave me looking more youthful? Maybe that's too much to ask for the first week. According to the Peter Thomas Roth website, the cleanser works deep in your pores to help increase cell turnover and fight fine lines and wrinkles. It's designed for all skin types, and it's an oil-free cleanser. KEEP OR TOSS: Keep. I like this cleanser a little more each time I use it. CHECK IT OUT: Key ingredients include glycolic acid and peach and other fruit extracts. Find a full list of ingredients online.